The research, led by the University of Wollongong Australia (UOW) and Indonesia's National Research Centre for Archaeology and published in the Journal of Archaeological Science today, is among the earliest evidence of modern humans in Southeast Asia. Lead author Dr Mike Morley, a research fellow and geoarchaeologist at UOW's Centre for Archaeological Science (CAS), said the find is "extremely important" in the quest to discover why and how the hobbit disappeared, around 50,000 years ago. The story of the hobbit starts in 2003, when an international team of researchers, including those from UOW, uncovered the remains of a previously unknown species of small-statured hominins at Liang Bua. Homo floresiensis, affectionately dubbed 'the hobbit' for her tiny one-metre stature, would rewrite history books, capture imaginations around the world and go on to be dubbed 'the scientific find of the century'. "We now know that the hobbits only survived until around 50,000 years ago at Liang Bua. We also know that modern humans arrived in Southeast Asia and Australia at least 50,000 years ago, and most likely quite a bit earlier" Dr Morley said. 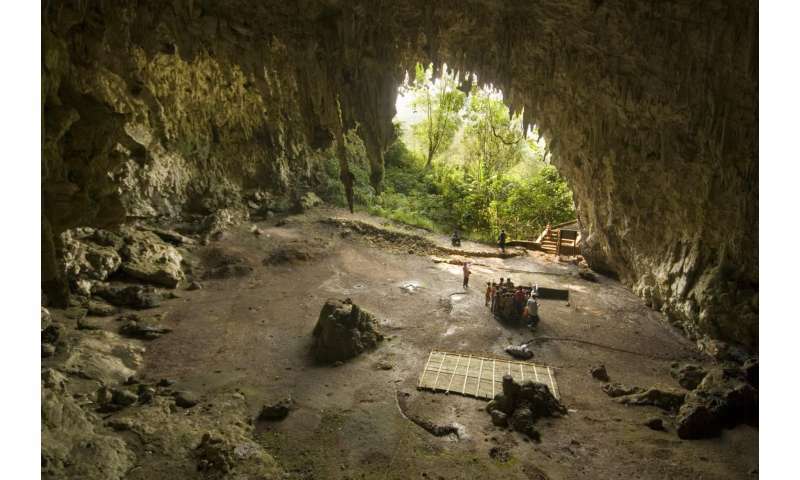 "This new evidence, which is some of the earliest evidence of modern human activity in Southeast Asia, narrows the gap between the two hominin species at the site." "Finding the fire places in such an excellent state of preservation allows insights into the behaviour of these people," he added. Dr Morley said researchers at Liang Bua are now searching for more evidence that further closes that gap in time; evidence that could place modern humans at exactly the right place, at the right time, possibly revealing an overlap between the two species, which could have led to interaction between the two species and ultimately the hobbit's extinction. 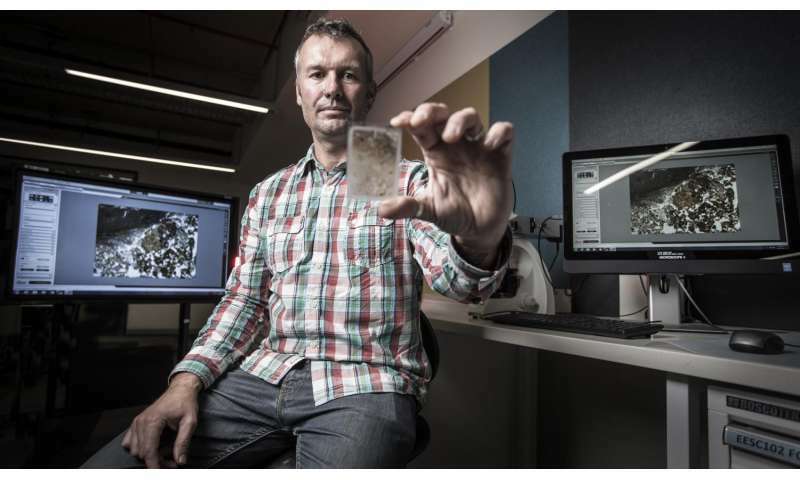 As part of the study, Dr Morley used a technique called 'micromorphology' to examine the sediments taken from the site at a microscopic level of detail. After extracting sediment blocks from the rear of the cave (a different area from where the hobbit fossils were recovered), the samples were shipped back to UOW and wafer-thin slices, just 30microns thick (1 micron is 1000th of a millimetre), were analysed under a microscope. 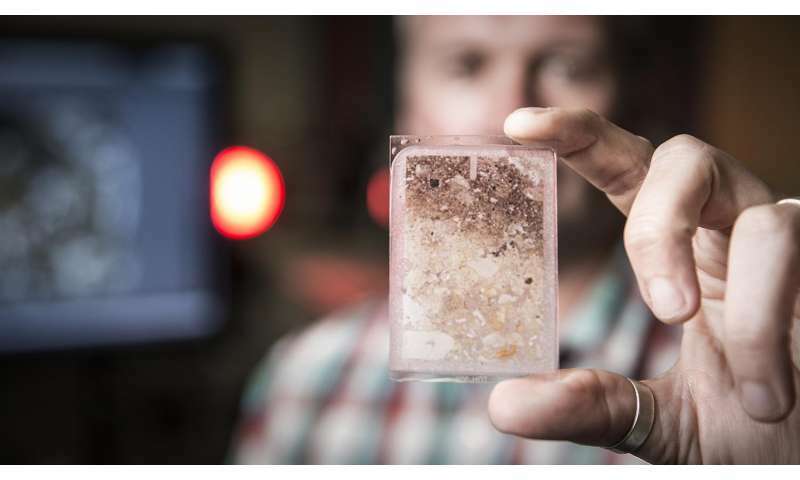 Spectroscopic analyses of the sediments were made by CAS archaeological chemist Dr Linda Prinsloo, and new radiocarbon dates were used to determine the age of each layer examined for the study. It is very likely that the "hobbits" were used for food by the modern homo sapiens after they arrived in the region and found the small hominin, mistaking them for game. It's a bit of irony that the moderns arrived at about 50,000 years ago, while the hobbits died off at about 50,000 years also. The "fire places" were most likely roasting pits.